CALLED conference aims to give parishioners resources for evangelization. Published 2/1/2019. Local. BRAINTREE -- The Secretariat for Evangelization and Discipleship is preparing to hold its second annual Intentional Discipleship Conference, which will take place March 2 at Fontbonne Academy in Milton. "The goal we've had for a little while now, after the implementation of Disciples in Mission, was to begin to hold an annual gathering of laypeople and clergy and religious from throughout the archdiocese to come and spend a day celebrating and praying about and learning more about discipleship and the mission to evangelize," Michael Lavigne, assistant cabinet secretary for Evangelization and Discipleship, told the Pilot Jan. 25. Patrick Krisak, director of Faith Formation and Missionary Discipleship, told the Pilot this conference is meant to succeed the Catechetical Congress, a conference that the Office of Religious Education used to hold every year. "We wanted to build on that legacy, but also expand it," Krisak said. "We think that there are lots of resources to do catechesis well, and we're trying to help everybody in parish life understand how catechesis fits into this process of evangelization, of coming to know Jesus Christ, coming to follow him as his disciple, and to grow through catechesis in understanding of that relationship with Christ and his Church," he said. 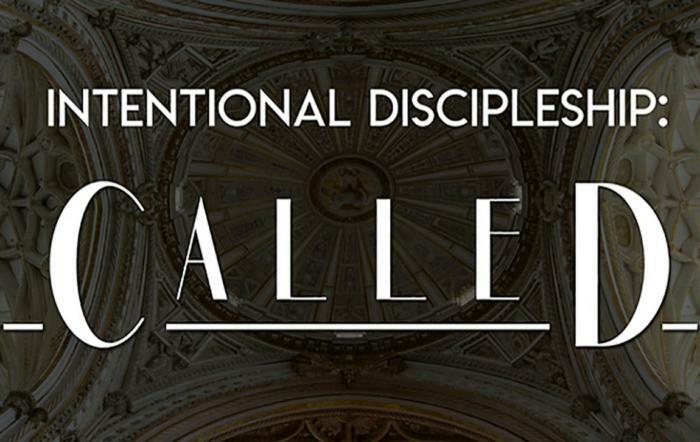 Whereas the Catechetical Congress was specifically intended for catechists, the Intentional Discipleship Conference is meant to appeal to a broader audience. Krisak and Lavigne both said that it is open not only to youth catechists but also to leaders of various parish ministries and ordinary laypeople. "You don't have to have an official role in a parish. We're just looking for interested disciples in our parishes to come together and gather to pray and to celebrate and to learn," Lavigne said. The first Intentional Discipleship Conference was held in November 2017, with the theme of "Moving from Maintenance to Mission." Breakout sessions were in English and Vietnamese. About 200 people attended. Krisak said they hope to double that number at this year's conference, which has the theme "CALLED." "I like our theme this year, it's taking a look at the reality that we as baptized Catholics have a mission, we're called, God has a plan for each of us in terms of how he wants us to use the gifts or charisms he's given us to spread his good news to our neighbors, to our friends and families, and to the larger world," Lavigne said. Breakout sessions will be in Spanish as well as English, with topics including the family as domestic church, engaging parents in faith formation, and fostering a culture of vocations. Krisak said there will be a larger focus on vocational discernment at this year's conference, "because part of being called to be a disciple of Jesus Christ is understanding how you're being called to live out the universal call to holiness." He said that as more people come to the conference, the secretariat will be able to book better-known Catholic speakers and provide more specialized tracks. "There are so many different situations out there in the parishes and so many different needs, and while we try to find the balance between meeting those particular needs and speaking in a general way that's going to apply to everybody, people do have their particular area of focus, and we want to help them as much as possible with that. So the more the conference grows, the more we will be able to meet that need," Krisak said. "We hope it continues to grow and continues to serve as a resource," Krisak said. There are three options for admission tickets: Day, Evening, or Combo Day and Evening. The keynote speakers during the daytime session will be Dr. Hosffman Ospino, professor of Hispanic Ministry and Religious Education at Boston College's School of Theology and Ministry; Gina Bauer, coordinator of youth ministry in the Minneapolis-St. Paul area; and Dr. Scott Powell, director of the Aquinas Institute for Catholic Thought. 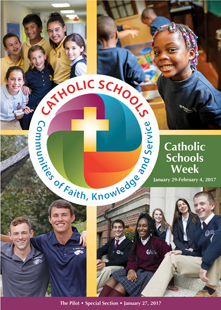 The evening session will include a 4 p.m. Mass with Bishop Robert Reed and a keynote from author and speaker Katie Prejean McGrady.